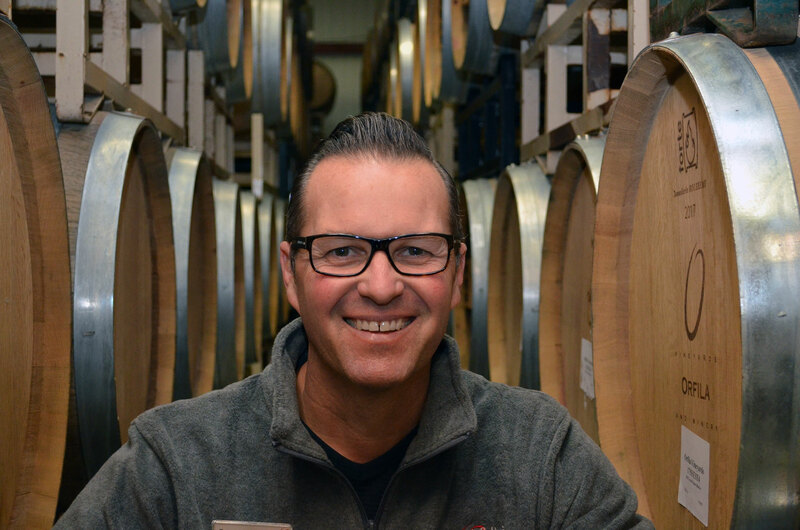 After a two year hiatus, Orfila Vineyards and Winery welcomes back Tom Blankenbeker as Tasting Room Manager. Tom brings both the warm familiarity of Orfila’s past, and the enthusiasm to lead Orfila into its promising future. He offers an extensive background in hospitality, and is a Certified Hospitality Industry Professional, the highest globally recognized certification in the field of hospitality. Tom Blankenbeker exemplifies service. His prior experience includes twelve years with the customer service leader, Walt Disney World. He was part of the opening teams for the Grand Floridian Beach Resort, the Convention Center at the Grand Floridian, and the Spa at the Grand Floridian. At the resort Tom was regularly chosen to serve high profile clients including Princess Diana, Bette Midler, Burt Lancaster, Michael Jackson, Meryl Streep, and many more. He is a recipient of the Gold “DREAM” Pin, and adds that touch of magic to all his customer interactions. Tom also spent ten years as a Real Estate Agent, assisting clients in making their dreams of owning a home come true. He has held Real Estate Licenses in both California and Massachusetts. He first came to Orfila as a guest, and then as an Orflia Wine Lovers Club member. In March of 2011 he joined the Orfila staff, pouring wine in the tasting room and assisting in special events. He was promoted to Tasting Room Manager in January of 2013, first for the Julian Tasting Room, and six months later, for both Orfila locations. Tom headed up the relocation and design of the Julian Tasting Room in late 2014. Tom left Orfila in September of 2015 for a great opportunity to manage the tasting room at Europa Village, where he was honored with a Manager of the Quarter designation the following year. Tom grew in responsibility in that role, heading up the day to day operations of the winery, while completing his CHIPs certification. The growth of any industry includes the transfer of knowledge and an exchange of ideas. Luckily for Orfila, Tom has chosen to bring back the Temecula Valley Wine Region’s hospitality know-how. I am looking forward to taking the knowledge I have gained from the last 7 and 1/2 years to help move Orfila Vineyards forward and raise us to the next level. Top-notch customer service, a gorgeous location and excellent wine makes for a winning combination and I am truly grateful for the opportunity to be part of it.” T.B.